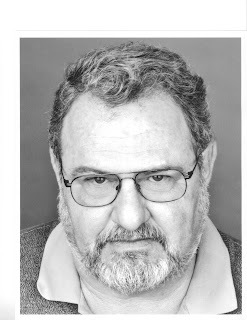 The Austin Film Festival is proud to announce John Milius as the recipient of the 2007 Distinguished Screenwriter Award at this year’s Austin Film Festival’s Award Luncheon presented by AT&T to be held October 13, 2007. After winning a National Student Film Festival award while attending USC, John Milius began his studio career under the tutelage of Roger Corman and landed Evel Knievel as his first major writing job. Nearly a decade and many films later, Milius wrote the screenplay of Apocalypse Now. His other credits include Big Wednesday, Conan The Barbarian, Red Dawn, Clear And Present Danger, The Hunt For Red October, The Wind And The Lion, Farewell To The King, Jerimiah Johnson, Judge Roy Bean, Geronimo and Flight Of The Intruder. Milius later wrote the teleplay, Rough Riders, through which he was instrumental in causing President Theodore Roosevelt to be posthumously awarded the Congressional Medal of Honor for acts of conspicuous gallantry on San Juan Hill. An avid gun collector, Milius serves on the NRA’s Board of Directors from 1995 to the present. In the American Film Institute’s “100 Years of Film, 100 Movie Quotes”, John Milius had two quotes cited; one from Apocalypse Now, the other from Dirty Harry. In the Writer’s Guild of America’s “101 Greatest Screenplays”, Milius’ Apocalypse Now is honored as well. Milius has been nominated for three WGA awards; Apocalypse Now, The Wind and the Lion and more recently for HBO’s hit TV show Rome. The awards luncheon will be held at the Austin Club on October 13, 2007. Tickets are only available to badge holders, which can be purchased at www.austinfilmfestival.com/ or by calling 1(800) 310-3378.